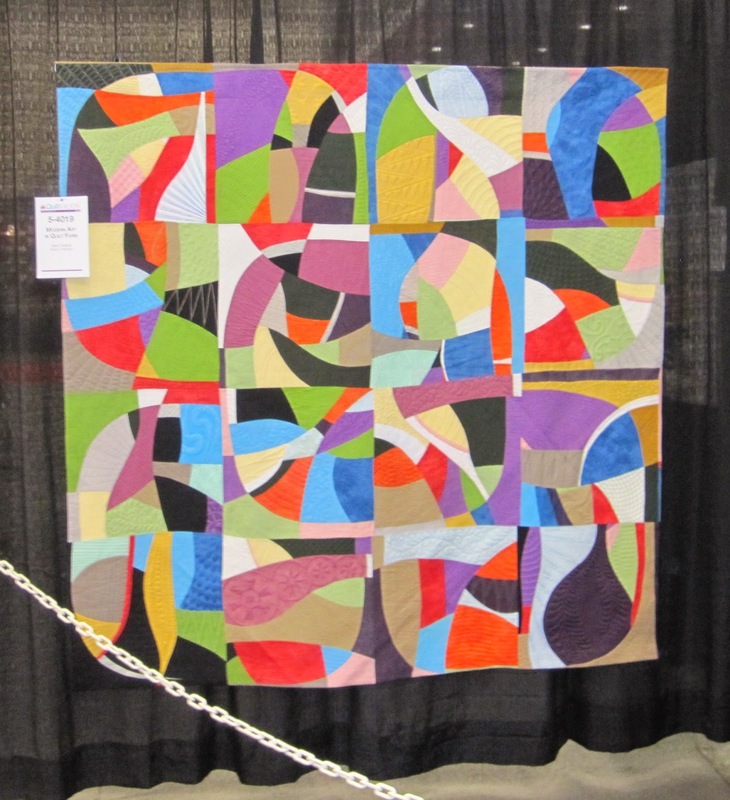 I had two wonderful days at the 2014 AQS Quilt show in Grand Rapids, MI. I did tons of shopping and saw some wonderful quilts. My friend, Sue Cortese, got her quilt in the show. I think hers was much better than the winner from her category....but I may be a bit prejudice! 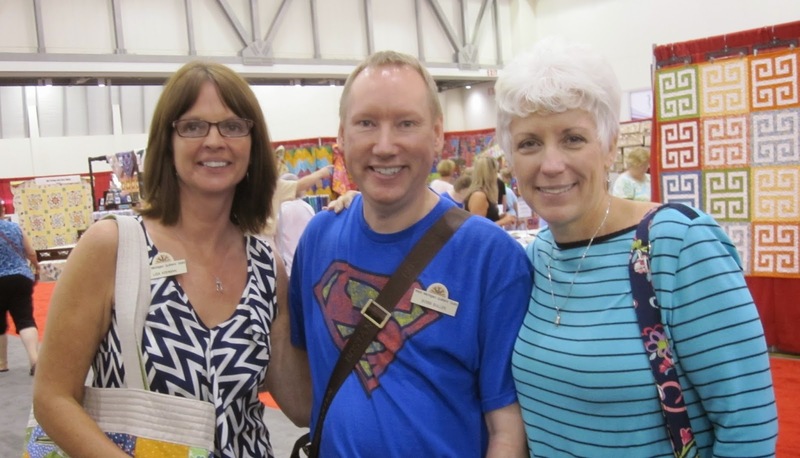 I spent most of my time with two very good quilting friends, Lisa and Sandy. We each made a specific list of items we needed and we did very well sticking to our list! If we saw something we liked we would write down the booth number, sleep on it and the next day go back and get it if we really had to have it! It really helps cut down on the impulse buying.....somewhat! I agree about Sue's quilt, it is spectacular and deserved a ribbon! We sure do make a great shopping team! Yes we do make a great team. We should come up with a team name that we can applique on the back of our bargello quilted jackets! !